Oh laundry. That task that seems never ending. The chore that, the second it is done, turns around and mockingly says, "Just kidding, girl. You ain't done with me." Truthfully, I'm not a big fan of doing laundry, but over the years, I've made an effort to enjoy it (as much as one can enjoy folding clothes over and over every day...) and make it easier to complete. 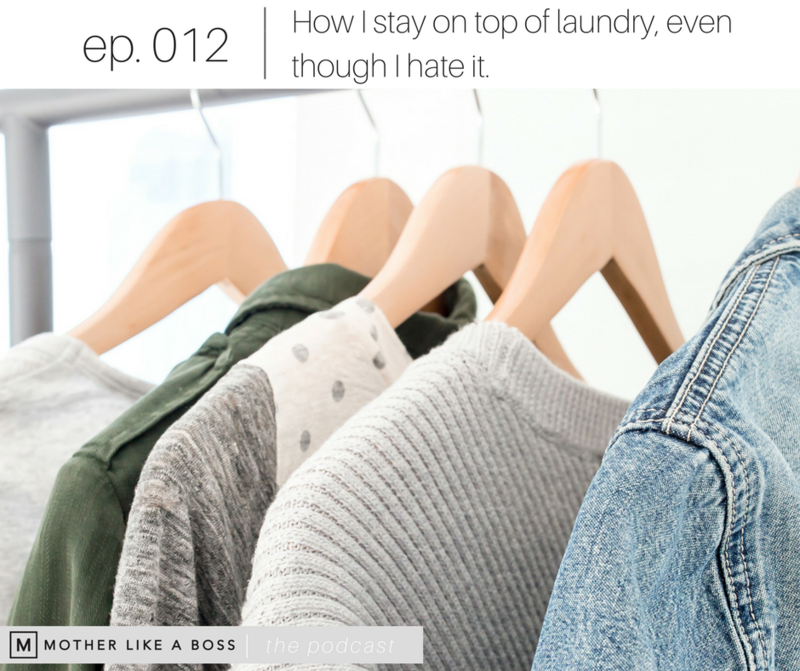 This episode is all about the hacks and tips that have helped me master my laundry game so I spend less time folding and more time enjoying my life, with clean clothes. The time of day that has proven best for getting my laundry done, and why it works so well. You can still sign up for the #justcleanit challenge. We kicked off February 26, but you can jump in now and start where we're at. Click here to sign up for free.